The only thing missing is horns. There are fewer things greater than comforts in life, and there are amazing people who like to take those wonderful, comforting items and transform them into something even greater by adding a touch of sparkling magic to them. Yes, straight up magic, like modern-day wizards, going around and Harry Potter-ing up your boring old world. House slippers? Please. You mean magical light-up unicorn slippers. Rainbow-sprinkled treats and even unicorn tears are just a few other ways that your life can transform from dull and gray to fantastical and awesome. Basically, you can take any old lame item and turn it into something wondrous with a few bright colors or some extra ingredients to bring joy to your face. Case in point? 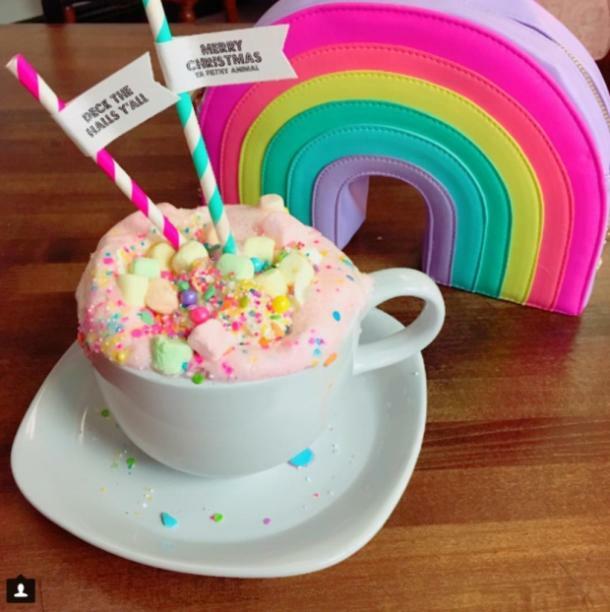 Unicorn hot chocolate is a thing, and it’s got old hot chocolate beat by an entire magical mile. Magical unicorn everything? Yes, please. 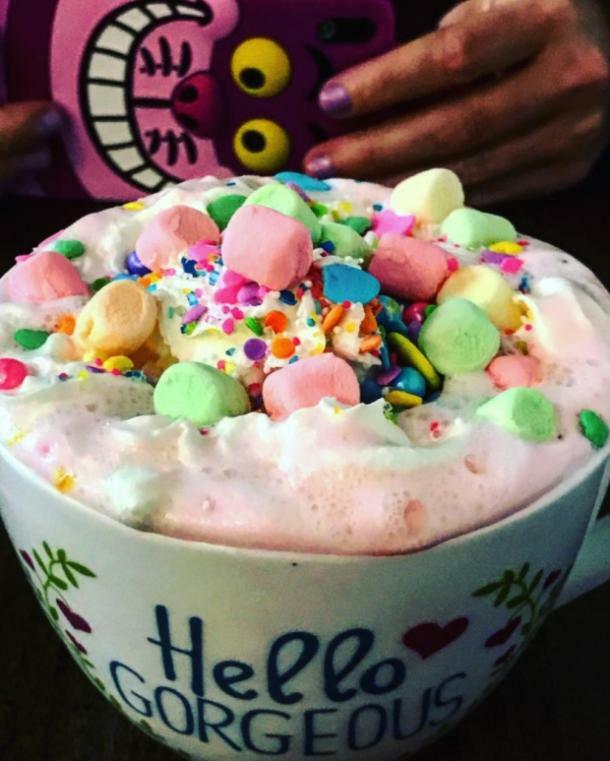 This wondrous gift from the fantasy gods consists of white hot chocolate that’s been dyed pink with food coloring (because of course), delicious, tiny, multi-colored marshmallows that you will absolutely delight in watching melt into your drink, and yes — you probably guessed it — a sh*t ton of sprinkles. No extra magical drink can truly claim to be a unicorn without a heaping helping of those tiny sugary wonders. The best part? The sprinkles include edible pearls and even edible glitter because nothing says magic and little-girl-dream-inside-of-you coming true better than glitter. 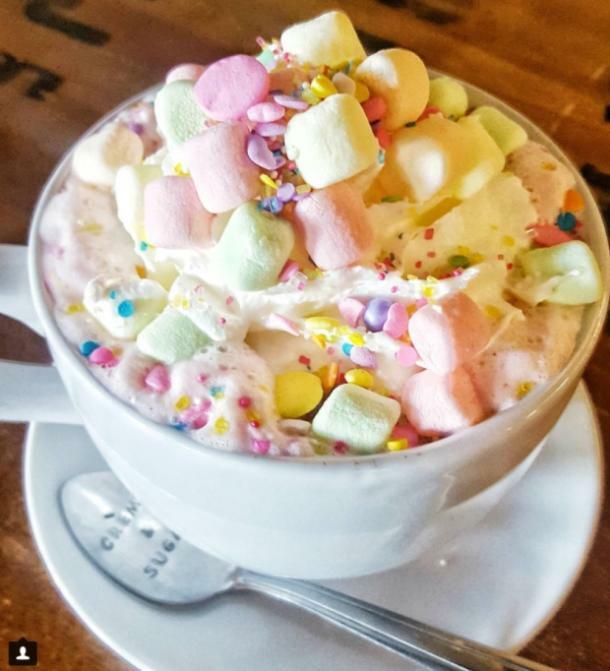 That you can eat on your magical unicorn hot chocolate drink. Basically, the only thing that could manage to somehow make this drink even more mind-blowing would be the addition of edible gold foil and a spoon with a handle shaped like a unicorn horn. In fact, they should probably just steal those ideas and make it happen. This warm and comforting drink comes to us by way of a dessert parlor called Crème and Sugar in Anaheim, California, which is thus far the only place to have been blessed by this amazing, sweet beverage. The unicorn chocolate was created by the store’s owner, Joanna Czikalla, who claims that the drink tastes mostly like white chocolate with a trace of vanilla. So, yes, chocolate with a faint taste of vanilla, beneath a mountain of marshmallows and edible pearls and glitter. In other words, only one of the best things ever, so it’s clearly some kind of magical ambrosia. And the best part? This is one unicorn you won't have to be a virgin to meet.